With the end of 2017 fast approaching, the holidays are usually a time for family gatherings, revival and reflection. It has been wonderful for me to revive this column for the Tennessee Jazz and Blues Society, and doing it has also provided me with a renewed appreciation for and interest in a host of musical and cultural happenings. Unfortunately it remains difficult to ever see jazz and blues, or for that matter soul and gospel, featured in any Nashville promotional appeals or advertising campaigns. Whenever the Titans or Predators go on national television, you will see umpteen shots of Second Avenue, hear or see the Grand Ole Opry, and frequently even see footage of folks playing guitars on the street, various performers appearing in clubs on Broadway, and countless shots of the Bluebird and Ryman. 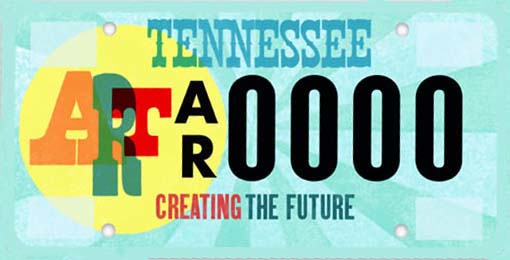 It would be silly to claim all this isn’t a big part of Nashville’s rise to national fame and prominence. Certainly Music Row, Country Music Television, the CMA Awards show and other country related events are key aspects in the city’s arts and culture hierarchy, and the music business structure with its multiple publishing and songwriting establishments are equally vital. Some top-caliber musicians in all idioms survive through their involvement and participation in these entities, and that’s a good thing. But it is also time for these promotional presentations to be far more culturally inclusive and contemporary. Black music history in Nashville didn’t begin and end with the Fisk Jubilee Singers. WLAC’s track record of advocacy, and its importance in R&B and soul music circles, deserves to be nationally known, as well as the city’s long and prominent impact in far more areas than country. Not a lot of people outside the jazz world know that Doc Cheatham was born here, or that Hank Crawford was at TSU, or that Etta James recorded one of her greatest albums live here in Nashville. B.B. King’s first recording session was in Nashville, not Memphis. Rahsaan Barber is getting national attention for his work with Kelly Clarkson, and Dara Tucker and Kandace Springs are just two among a host of superb Nashville jazz vocalists with widespread critical plaudits. 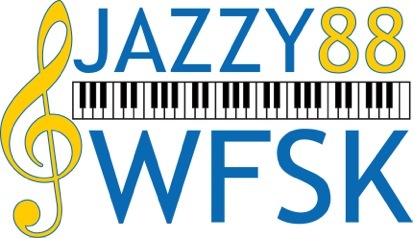 Down Beat has spotlighted The Jazz Workshop and Jazz Cave, as has Jazz Times. The Beegie Adair Trio has played Carnegie Hall, while the duo of Adair and vocalist Monica Ramey have had repeat engagements at Birdland. These are just the tip of the iceberg in talking about the array of quality local acts and the continued acceptance and praise they are getting outside Music City’s borders. It is way past time for those who operate the city’s promotional apparatus, and I’m not just talking about the Visitors and Convention Bureau sports packages, but also the city’s media outlets (The Scene and East Nashvillian accepted) to start giving these people and organizations some attention, and that definitely includes the Tennessee Jazz and Blues Society. January will mark 23 years since I first came to Nashville with nothing but a half-filled suitcase. During that time a lot has changed, some of it good, some of it not so great. But one thing that hasn’t is the lack of notoriety, recognition and attention given all the other music scenes in this town, especially jazz and blues. This is something that definitely needs to change, and it should begin in 2018. Fred Staton, Muhal Richard Abrams and Robert Knight navigated vastly different paths enroute to musical excellence, but each achieved it. Sadly, all recently passed, as 2017 is proving nearly as vicious as 2016 in claiming major and key artists. Staton had recently achieved a degree of fame when he celebrated his centennial a couple of years ago. 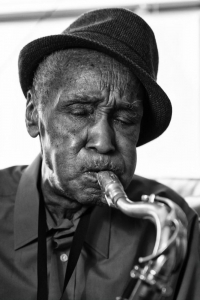 He dies recently at 102, and was still performing almost right up until his death. A swing and blues devotee, Staton’s piercing sax tone reflected the influence of Duke Ellington’s premier soloist Johnny Hodges. Staton heard Hodges growing up in Pittsburgh over a Victrola at his family home. He credits that Victrola and the music his parents played on it as the critical element influencing him to be a jazz musician. Too often in jazz circles musicians who are excellent players but not responsible for an innovation in composition or playing, nor influenced a host of others to emulate their style get overlooked or undervalued. But Staton was far from just another player. He was a member of Art Blakey’s very first ensemble, where he teamed with a then unknown pianist named Erroll Garner. Some of Staton’s other friends and colleagues included Billy Strayhorn, Ahmad Jamal and Horace Silver. He left Pittsburgh for New York at an early age and stayed there most of his life, consistently playing regular gigs though never getting the breakthrough recording that might have earned him national recognition. But Staton was happy playing the music he loved, and became a regular member of the Harlem Blues & Jazz Band, a gig that enabled him to visit Europe and Russia. He also became a member of America’s premier jazz radio station WBGO. He once explained his support for them in this manner, saying that WBGO “plays the music I can relate to. Music that I have performed over the years myself. I can feel it, I can pat my feet to it, and I can completely enjoy it. He also saw jazz, blues and gospel as connected idioms, adding “if you can play one, you can play the other. They all interact: Jazz helps to put me in a comfort zone. It’s a feeling. Muhal Richard Abrams was never comfortable with the term “avant-garde,’ though he penned some of the most adventurous and exciting compositions in that style. He was a distinctive pianist, bandleader and composer who didn’t just talk about taking control of his music but actually not only did it, he helped pioneer a long-running and still active example of musicians retaining creative command of their work. Abrams died recently at 87. Born in Chicago, he no doubt will long be largely remembered for being a co-founder and longtime supporter of the Association for the Advancement of Creative Musicians (AACM) in 1965 on the South Side of Chicago. The organization called their compositions “Great Black Music.”Abrams was mostly self taught, and crafted an approach that merged a blues sensibility with innovative uses of such devices as overtones and even vibration of keys in percussive arrays. His 24 plus LPs for multiple labels weren’t just free oriented, but covered the full jazz spectrum, including both big band and solo works. The lengthy list of great musicians he either mentored or worked with included Anthony Braxton, George Lewis, all the Art Ensemble of Chicago members and numerous European players. When Abrams moved to New York he formed an AACM chapter there, and became its president. 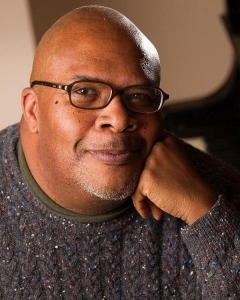 It took the rest of the jazz world a while to catch up to Abrams, but from 1990 on he began to get both more work as well as national and international recognition as a composer. He was the first winner of the JazzPar Award in 1990 (Danish Jazz Center), a 2008 USA Prudential Fellow, a 2010 NEA Jazz Master and 2012 Living Legacy Award winner, plus the recipient of two awards from the Doris Duke Foundation. At press time it was unknown if more posthumous Abrams material was either being planned or will be released. Vocalist Robert Knight had only big crossover hit, but it rivals Bobby Hebb’s “Sunny” as Nashville’s most iconic single. A songwriting deal he landed in the ’60s withsongwriters/producers Buzz Cason and Fred Foster’s Rising Sons Music label led to a collaboration with fellow singers/songwriters Buzz Cason and Mac Gayden. That duo penned “Everlasting Love,” which proved the sole crossover smash of Robert Knight’s career. Indeed it was so definitive that Knight was never able to generate much interest in the songs that came afterward. Knight, who died recently at 72, had been singing professionally for quite a while prior to “Everlasting Love,” but never had any success as a singer who was also attending Tennessee State University and thinking about being a chemist. But “Everylasting Love” changed all that, and also the course of Knight’s life. Buzz and Mac were country artists, and I was R&B, and so I had to make it more of an R&B song, Knight told “Rebeat Magazine during a 2016 interview. Knight made some other nice songs, including “Blessed are the Lonely” and “Isn’t it Lonely Together,” but neither reached the heights of “Everlasting.” Knight later opted to focus on a job at Vanderbilt University in Nashville as a lab technician, chemistry teacher and member of the grounds crew. But someone was always cutting another version of “Everlasting Love.” It was a Top 40 hit in the ’60s, ’70s, 80’s, 90s. While their stories are different, in the end, this trio all made distinguished and memorable records and both they and those sessions will long be remembered. Jazz fans are losing another excellent program and disc jockey. Reuben Jackson, whose vibrant and diversified show “Friday Night Jazz” airs each Friday from 7-10 p.m. CST (8-11 EST) on Vermont Public Radio (wvpr.net) announced last week on Facebook that he was leaving the show in April. That one took a lot of folks by surprise. He has been hosting the program since 2012, when he replaced George Thomas. Thus far there’s not a lot of details about why, though we hope to have an interview with him soon. “Basically, I am leaving because it is time,” Jackson wrote in an email to Seven Days. For 20 years, Jackson was the curator of the Duke Ellington Collection at the Smithsonian Institution in Washington D.C., where he also grew up and spent most of his life. An acclaimed poet as well as a jazz scholar, there has been no indication thus far about Reuben plans to do next. His final VPR broadcast will be Friday, April 27. Maybe a return home and spot of WPFW-FM, which was suggested online by WFPF radio host and longtime jazz journalist and broadcaster Willard Jenkins. That would be infinitely preferable to his simply leaving the airwaves. The jazz audience needs dedicated, knowledgeable and entertaining personalities on the air. Goodness knows, we can’t afford to lose anymore. One piece of good news on that front is the debut of a new show hosted by Ludovico Granvassu, the Founder and Editor-in-Chief of the publication “All About Jazz Italia.” Mondo Jazz, a new program dedicated to spotlighting international jazz not readily available over here or on this nation’s airwaves, began Wednesday night at 9 p.m. (10 p.m. EST) and can heard online via Radio Free Brooklyn. That in turn can be heard either on TuneIn Radio or through the App store. In discussing his new venture, Granvassu says, “When I first moved to the United States I was surprised that, in the country where the customer has unlimited choices, I could go to a supermarket and find 80 different brands of cereal, but in a record store the selection of jazz albums was much narrower than in record stores in Oslo, Tokyo, Brussels, London, Rome, Paris, etc. It was therefore not surprising that the playlists of the major radio stations was equally narrow,” says host Granvassu. “How could it be that, in the land which gave birth to this music, jazz fans had fewer options than jazz fans from anywhere else in the world? I quickly realized that whereas record stores and radio stations abroad naturally featured albums from the US, since jazz was born in the US, they also featured albums by international jazz musicians since there are thriving jazz scenes everywhere, which produce excellent artists. These foreign artists were virtually unknown in the US and absent from American airwaves. The next two shows will feature “Jazz Travelling” on November 22 and “Film Noir Jazz Soundtracks” on November 29.